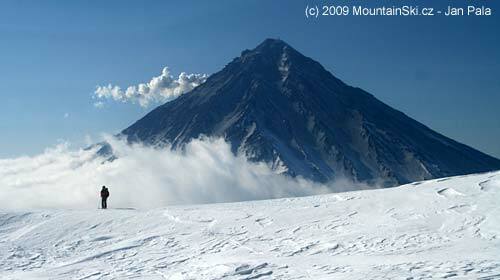 We have been for skialpinism at Kamchatka from April 25 till May 10, 2009. Our group consists of ten people, six of them from the Czech Republic, and four of them from Slovakia. There were two girls in this group, nine skialpinists, and one snowboarder. We had to change our plans due to high volcanic activity of volcano Korjakskij (3456 m), which is without snow from 2250 meters to the summit. Trip was supported by KAMA, Voda hory, Tilak, Quill-outdoor, www.lacnyskialp.sk and Baston. Fr 1. 5. return from Avachinskaja 17 km through Dry river and by car to Petropavlovsk-Kamchatskij, night club from 11p.m. to 6a.m. I hardly comment, but i did some searching and wound up here Mountainski. 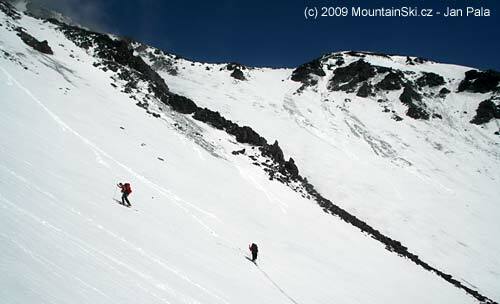 eu: Skialpinism at Kamchatka 2009 – list of articles, photos and results.